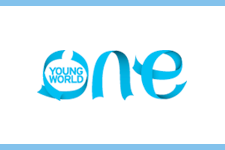 One Young World is a global forum for young leaders aged 18-30 and aims to create " lasting connections and develop solutions to some of the world's most pressing issues." One Young World is an international network founded in 2009 which holds annual summits with young people and well known figures from politics, business, religion, music, film and social causes such as Archbishop Desmond Tutu, Bob Geldof, Kofi Annan, Professor Muhammad Yunus, HKH Prince Haakon of Norway, Jamie Oliver, Wael Ghonim and Joss Stone. Annual summits have taken place in London (2010), Zurich (2011), Washington (2012), Johannesburg (2013), Dublin (2014), Bangkok (2015). The next One Young World Summit takes place in Ottawa, Canada, 28 September - 1 October 2016.Young people and adults aged 18-30 can apply online to be a delegate. Delegates must pay to attend, with the cost per delegate in 2016 being USD $3,900 - including all transport, accommodation, food and conference fees. For more details on attending, see: https://www.oneyoungworld.com/attend-summit-2016. After each Summit, One Young World Ambassadors are encouraged to start their own projects, work on existing initiatives or lead change within their organisations.